Be honest: did you go for a run yesterday? I didn’t” my buddy IM’ed. So much for my first attempt at having my exercise behaviour influenced by that of my athletic friends. As a behaviour change specialist for large organisations, you also should experiment with behaviour change techniques for yourself from time to time. Because the data do not lie: behaviours, ideas and emotions are socially contagious. So why not use this insight to hack my own behaviour for the better? First objective: exercise more. Problem: I’ve just moved to the far end of the country. Preliminary solution: ask my friends to lead by example by showing me their behaviour on social media. If this works, could I also call on my social network for other resolutions? And what am I able to learn from this experiment for our clients, for executives wanting to spread positive behaviour within their organisation? As vital as the threads of a web are to a spider, so too do we need our social web of invisible threads connecting us all. This network is deeply embedded in our minds and behaviour. We look around us to decide what we should and could do in what situation. We are more receptive to statements from and about “people like me” than from people who are further away from us and are less like us. Also subconsciously. Our friends, relatives and colleagues influence what music we listen to, what new gadgets we start using and how we react to what is in the news. Board members of different large corporations influence each other in governance practices like takeovers. 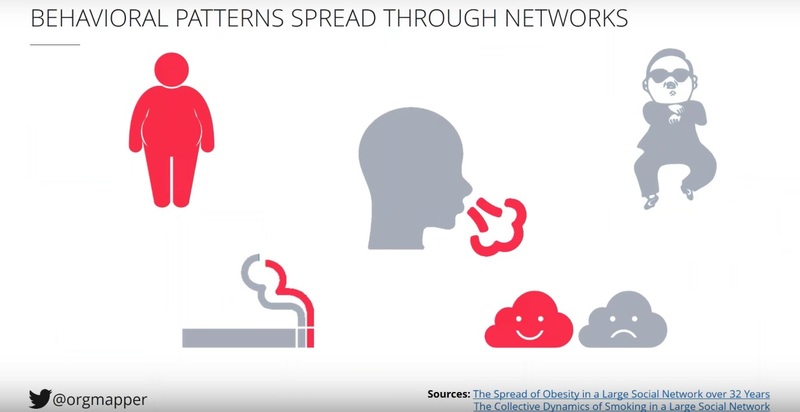 Even obesity, fertility and emotions such as happiness are spread through social ties. But contagious differently from how diseases spread. Anyone who has ever worked at an organisation knows that there too, informal networks have an effect on the propagation of behaviour and information. And that some colleagues are more influential than others. And that such colleagues are not necessarily the formally appointed leaders. 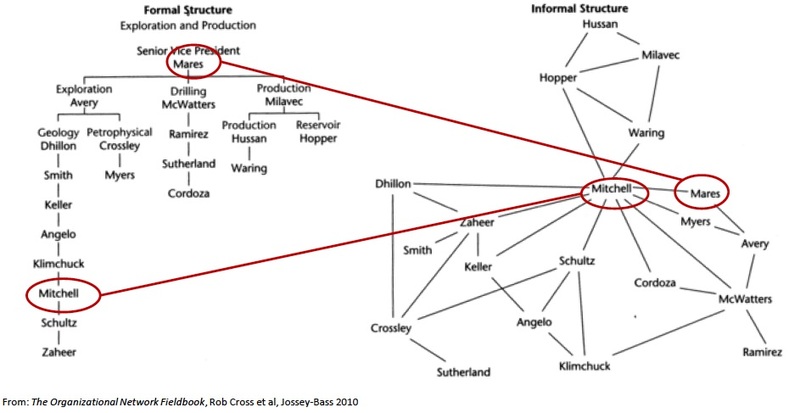 A classic case from Rob Cross clearly shows the difference between formal hierarchy and informal network at an oil company. So could you simply impress upon those informal influencers positive behaviour and ideas, and they then spread it throughout the entire network? Yes, but not “simply”. Basic models of disease spreading only from person to person do not hold up for human behaviour and information propagation in the real world. It does in the safety of Harvard‘s lab for instance. There, in an experiment scientists have found a pay-it-forward effect for cooperative behaviour. They have demonstrated that when a subject had helped someone, not only did the probability increase that this someone would be helping a second someone, but also that those second someones would in turn be helping other people, etc., from person to person to person to person. Former Yahoo (and present-day Microsoft) researcher Duncan Watts did not find such a dramatic domino effect. His conclusion is that the analogy of “social contagion” with the transmission of biological disease which many research models and cultural paradigms are based on, is flawed. In the real world ideas and behaviours have to compete for attention with everything else you are exposed to, much more so than new viruses are hindered by human immune systems. According to Watts, we need fundamentally different models to understand and actively further the propagation of pro-social—and other—behaviour. And Watts sees the promise of unveiling those mechanisms of social influence in the guise of large-scale in-vivo studies involving social media platforms, such as the controversial Facebook field experiments on the feelings of 700,000 members and the voting behaviour of 61 million members. More about another Facebook experiment later. 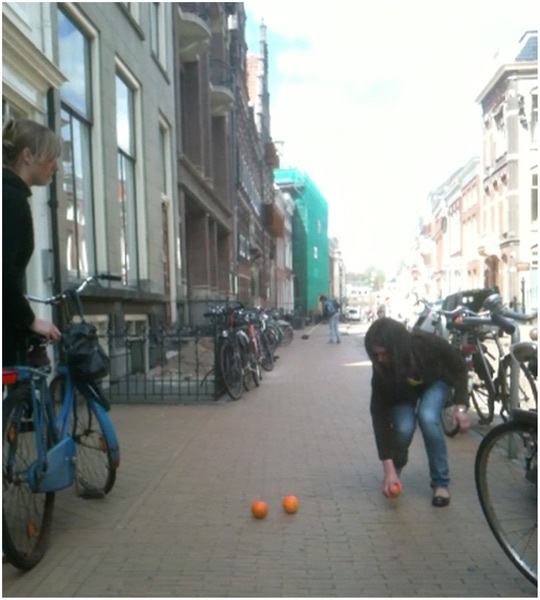 The experimental setting of Groningen University’s research: observing someone cleaning the streets caused passersby to help others who ‘accidently’ had dropped oranges more than when hadn’t observed such prosocial behaviour. Scientists with Cornell University have uncovered two mechanisms for social contagion of behaviour already. Besides people who themselves are benefiting from social behaviour (as per the positive contagion analogy), people who are witnessing the social behaviour of others are also more inclined to help other people, as scientists at the University of Groningen have demonstrated. Passers-by have been more likely to help someone pick up fallen fruits if they had seen someone clean up litter just before. Negative behaviour is contagious too. Costing your business: $12,000 per jerk each year. Negative behaviour can quickly ruin the atmosphere in the workplace. Google’s re:Work platform regularly posts about workplace (in)civility. One of the guest writers, Christine Porath of McDonough School of Business, likens the bellyaching, cranky pants behaviour to a—oh yes—pathogen. Most people do not realise how susceptible they are and to what extent they are “carriers” themselves. People who are surrounded by jerks learn intuitively to act selfishly, even when cooperating would pay off. Another guest author, Dylan Minor of Harvard Business School, has worked out that such “toxic” employees are costing an organisation about $12,000 whereas “superstars”, the top 1% workers in terms of productivity, are adding about $ 5,000 to firm profit. So the combined benefit of two superstars is being cancelled out by one toxic employee. The effect of observing cues has also been found in case of negative behaviour—like in the Groningen study—but only if the people exhibiting the behaviour had been in the same group as the observer, what is known as the “peer group”. In the following video Dan Ariely discusses his experiment in which students got to take a test and not just grade themselves for it but also give themselves some money for each correct answer. An actor had been instructed to pretend to be a student clearly committing “fraud”. While he was wearing a jersey with the students’ university logo, the students were committing fraud as well. But when the actor was wearing a different university’s jersey, the students were actually being less fraudulent. You copy the behaviour of the people you identify with, whereas you rebel against the people outside your peer group. Spread the love. Tell about “colleagues like me” & just do it. What can people do within their businesses to promote positive behaviour and make it catch on? A number of businesses, with the intent of being inspiring, are sounding the trumpet about the honourable behaviour of their top managers or their CEO’s intrinsic commitment to corporate sustainable responsibility. A recent study by Sean Martin has tested what effect this kind of storytelling has had on the extent at which new employees—a large group of trainees at a technology firm—would later on be behaving according to the firm’s values and how often they would be helping their colleagues. Outcome: little to no effect. Except when negative stories were being told about the behaviour of the people at the top. Then the trainees would be helping each other less. Found to have greater effect have been positive and negative stories about the behaviour of colleagues like me, the group the trainees could identify with. Besides storytelling, witnessing positive behaviour in people you can identify with—as described previously—of course also works. Christine Porath explains how this way each individual has the capacity to improve the atmosphere in the workplace, even through the smallest actions. Her research has shown that civil behaviour in the workplace, like thanking people, humbly asking questions, sharing credit—in other words, putting your best civil foot forward—has triggered a positive snowball effect. Google themselves have also crunched the numbers of what all advantages add up to for this kind of behaviour, what they refer to “organizational citizenship behaviors”. It may sound like stating the obvious, but according to Google other organisations are not promoting and rewarding such behaviour enough. And as a result are passing up big opportunities. Social technology is accelerating and amplifying peer effects. “Over the past decade we have seen a massive change in how people are communicating. Social media have triggered an explosion of social signals we give our network”, according to MIT professor Sinan Aral at a talk in Amsterdam late August I attended. Aral is an expert in the field of social contagion and influence and works for such businesses as Facebook, Yahoo and Twitter. It is because of experiments on these types of channels with millions—or billions even—of people, that he sees how our behaviour reverberates through our networks, how we look at each other to tell right from wrong. In Amsterdam, Sinan showed the fascinating results of his research for Fitbit, a fitness tracker business, with data from his 14 million running customers over five years, who keep each other informed of their performance through social media. Like a toy store to online–offline behaviour influence aficionados such as myself. Guess what? Even friends and acquaintances living thousands of miles away influence one another in how far and how fast they run. “If you run a kilometre more, it spurs your friends on to run an additional 300 metres on average”, Aran said. 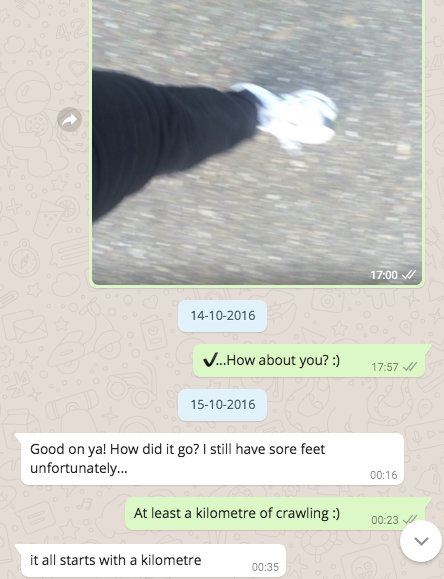 That’s where I—yours truly—got the luminous idea to ask my buddy to IM me his exercise behaviour. A personal behavioural hack based on an MIT professor’s big data analytics, that has to work out, right? – MIT professor Sinan Aral. “In our new social era we are all role models”, Aral was telling us. “Social technology is accelerating and amplifying peer effects. But some are more influential than others, while other people are more susceptible to influence.” This also showed in experiments Aral had done with the huge pile of data from Facebook. “If someone is more influential over others, he is less susceptible to influence and vice versa. If you’re a marketer, policy campaigner or activist focusing on people who are both very influential and friends with people who are very susceptible, you stand the best chance of the behaviour or ideas you are promoting being spread further along the network by them”, according to Aral. Come in! –– Come in, and know me better, man. No time like the present to drive this already moralising longread home. While some are full of the dickens, in the spirit of Christmas, we bring Dickens! If everyone is a role model, we can all be a little bit like the jolly giant in Charles Dickens’ timeless classic, A Christmas Carol, and elicit change by showing positive behaviour. It is up to all of us to counteract bellyaching, humbuggery, envy and other unchristmassy deeds with respect, merriment and love. Spread the love, 2.0. Show your good deeds, good people! Or shine a light on someone else’s good efforts at sustainability through your enterprise’s social network. Come get the behaviour stories –– come in, and know people like me better, man. So think about what behaviour you are showing, and whose, to whom. And come to us if you want to know who these influential colleagues with the right informal network are at your organisation to get that snowball effect started. How will you show your good deeds? Leave a comment here! I think I am going to ask my Facebook peers to share their exercise stories. I could use a little extra social influence. Want new insights directly in your inbox? Praising yourself for ‘good’ behaviour makes it more likely you will do something ‘bad’ afterwards.” Then what should you do? What can teenagers teach leaders about learning and change? Employees are in an identity crisis, asked to be different and behave in new ways. Like teenagers. What can these transformation experts teach leaders? OK, your people are moving. But are they dancing? 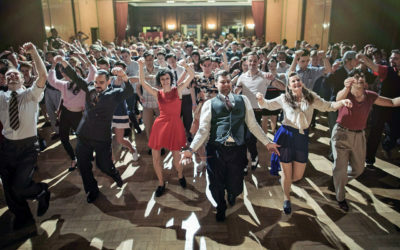 Organizations want to be responsive to their customers’ movements, to ‘swing’, but mostly they’re simply doing the stasis shuffle – dancing on the spot.